Matt Cardy/Getty ImagesA skilled fitter works on the spoiler of a A400M at the Airbus aircraft manufacturer’s Filton site on November 19, 2015 in Bristol, England. Airbus is considering pulling out of the UK in the event of a no-deal Brexit, according to The Times. The move could impact tens of thousands of jobs and costs the British economy billions of pounds a year. Labour is calling on Theresa May to reconsider the British government’s Brexit negotiating position in light of the news. Airbus is reportedly preparing to ditch investment in the UK in the event of a no-deal Brexit – a move that could impact tens of thousands of jobs and cost the British economy billions. The Times is reporting that the aerospace giant is actively preparing for the possibility of Britain leaving the European Union, and that it could pull its investment in the country if that was ultimately the case. The revelations underline the uncertainty that many businesses that operate in the UK are facing due to Brexit, and the costs to the British economy that will be incurred if Theresa May’s government fails to secure a deal with the European Union. Airbus alone has 14,000 UK employees in Bristol, Portsmouth, Wales, and elsewhere, and supports another 110,000 UK jobs, according to The Times’ figures – and adds $US7.8 billion to the UK GDP. It reportedly warned Theresa May of its Brexit preparations three weeks ago. 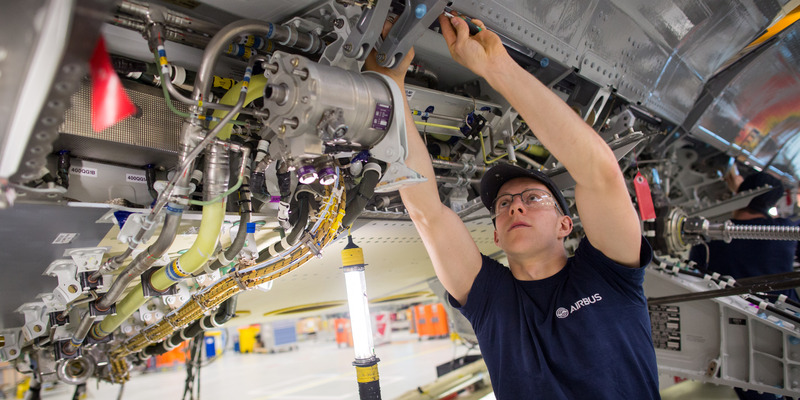 And even if Britain secures a deal, Airbus is still putting a freeze on new investment in the UK until the details of the UK-EU relationship become clear. In response to the report, Labour MP Keir Starmer, the shadow Brexit secretary, called on May to reconsider her Brexit negotiating position. “If proof was needed that the PM’s Brexit red lines need to be abandoned (and fast), this is it,” he tweeted.